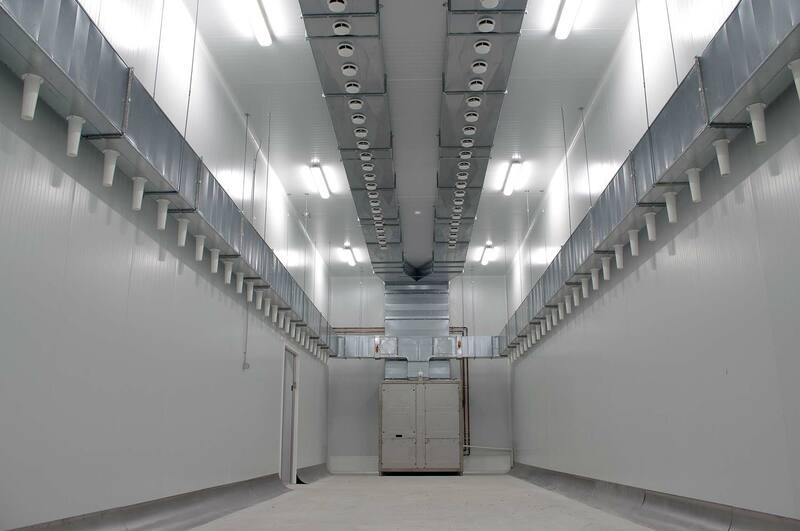 We offer drying rooms adaptating the adecuate temperature, relative humidity and air movement control for this kind of products. 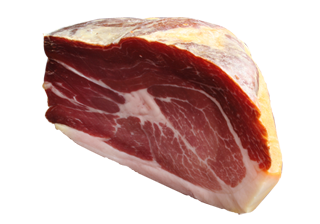 We offer ham dryers that comply with the standards for the right ham drying process, offering solutions adapted to our clients necessities. 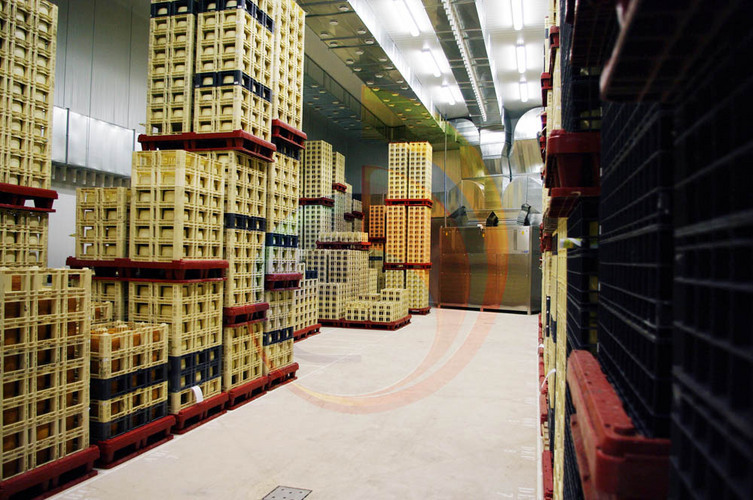 Drying times here depends on the cold meat type to dry, remaining at 12ºC temperature and 60% relative humidity. 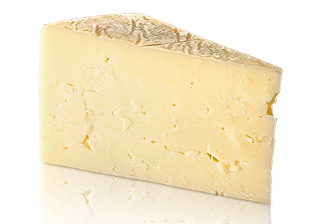 Cheese requires optimal control conditions to obtain a particular smell, texture, color and taste. 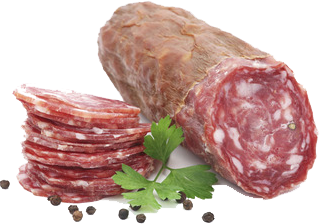 Cheese, cold meat and hams drying process is essential to guarantee the right product maturation. 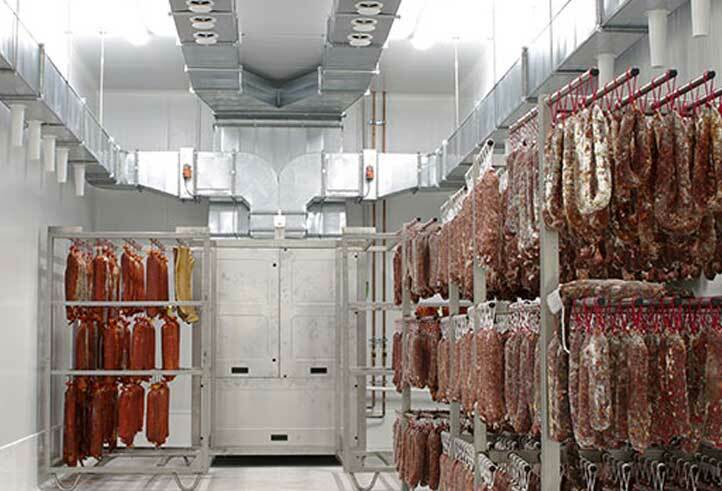 For all of this, at Bernad® Refrigeration we offer drying rooms adaptating the adecuate temperature, relative humidity and air movement control for this kind of products.